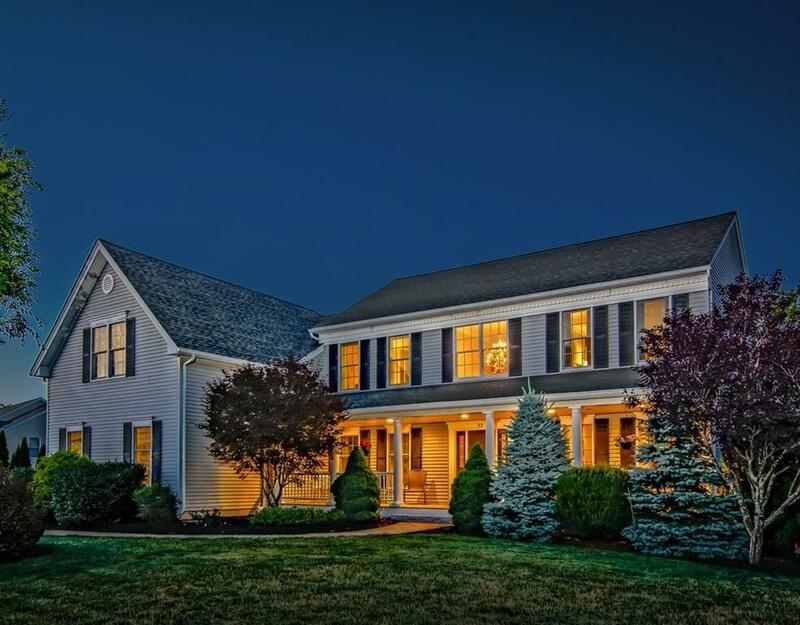 Beautiful updated Colonial located in the desirable North Grafton Estates neighborhood, right on the Westborough line. A wonderful home for entertaining, w/ a completely renovated gourmet kitchen. Kitchen has gorgeous cherry cabinets, SS Bosch appliances and oversized island. Vaulted ceiling family room w/ fireplace, private first floor office, and a huge second floor (21x17) bonus room, perfect for working from home, media room, or childrens playroom. On the second floor you'll also find a spacious master suite w/two large walk-in closets and a master bath. 3 more bedrooms and a second full bath complete this level. Open concept living/dining room w/ wonderful views of the wooded backyard. Entertain and BBQ on your spacious deck overlooking your spectacular large, level, and private yard; one of the nicest lots in the Estates w/ plenty of room for a pool. Or, enjoy watching sunsets and refreshments from your oversized 40x8 farmers porch. ~1,000 sq ft in walkout finished basement. Listing courtesy of Melissa Ellison of Mathieu Newton Sotheby's International Realty. Disclosures Accompanied Showings 24 Hr Notice Preferred. See Attached List Of Home improvements. Pellet Boiler is Primary Heat Source During Winter Oil Provides Remaining. Gas Line Was Brought To House But Sellers Are Not Currently Connected Aside From Generator. Drainage Easement See Deed/ Plot Plan. Exclusions Washer/Dryer Excluded. Generator And Chandeliers Convey. Sq Ft Disclosures Additional 1050 Sq Ft in Finished Basement. All Room Measurements Approximate. Listing provided courtesy of Melissa Ellison of Mathieu Newton Sotheby's International Realty.